Wilson Clash 100 - Tennis Town | 網球購物城 - Tennis Racquets, Equipment, Strings, Shoes & Bag. - 100 sq in headsize and weight offer ideal balance of power and control. - Powered by proprietary carbon mapping, FreeFlex allows the frame to bend in all-new dimensions for maximum ball pocketing and ultimate control. - StableSmart creates a unique frame geometry for the most flexible frame in tennis, delivering best-in-class stability and power. 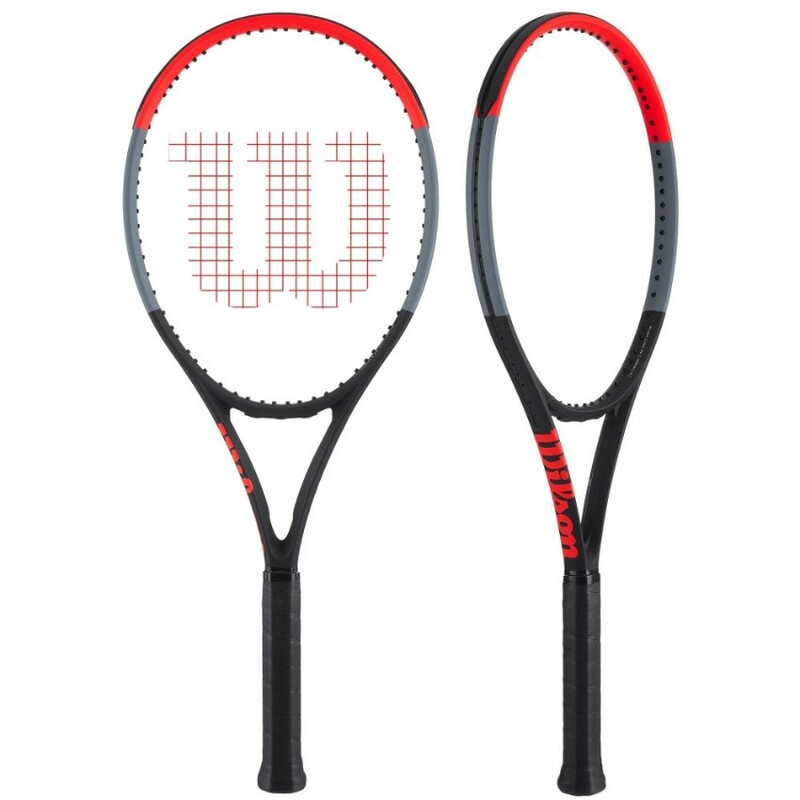 - Parallel Drilling provides a consistent, more forgiving string bed response Uncontaminated design features clean lines, bold color accents and elastic finish of current Wilson performance racket design DNA.